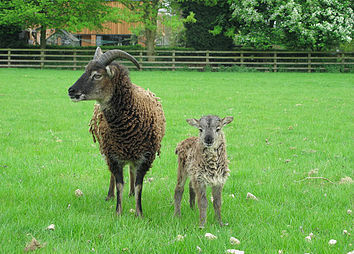 Boreray Sheep have a close geographical and social link with Soay Sheep but the two breeds are genetically different. Boreray Sheep are the descendants of the domestic sheep which were kept by the St. Kildans. When the inhabitants evacuated Hirta, (the main island of St. Kilda), in 1930, all their domestic stock was evacuated with them. 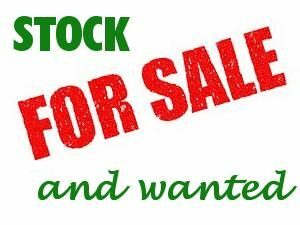 Any stock left on the island was killed. But a replacement flock of domestic sheep had been kept on the island of Boreray. These sheep were left there after the evacuation and have lived feral on the island since 1930. 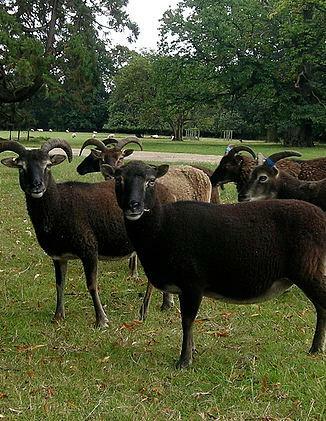 In recent years a small group was taken off the island and the descendants of that small group are now registered with the Rare Breeds Survival Trust. 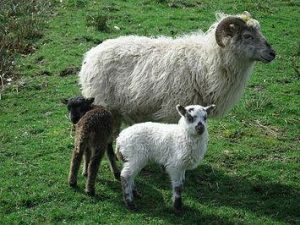 Boreray sheep are classified as “critically endangered” on the RBST Survival Watch list. 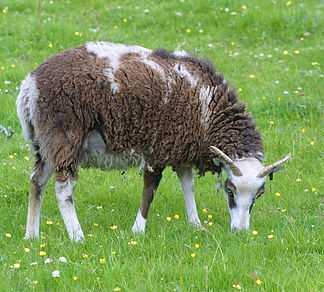 The sheep are a unique breed, being descendants of the now extinct Scottish Tan Face with some infusion of Hebridean Blackface. They are a small short-tailed breed which naturally sheds its fleece under normal breeding conditions. Most animals are a creamy white colour with various black, tan or speckled markings on the face and legs and sometimes also on the body and shoulders. A few dark animals occur.